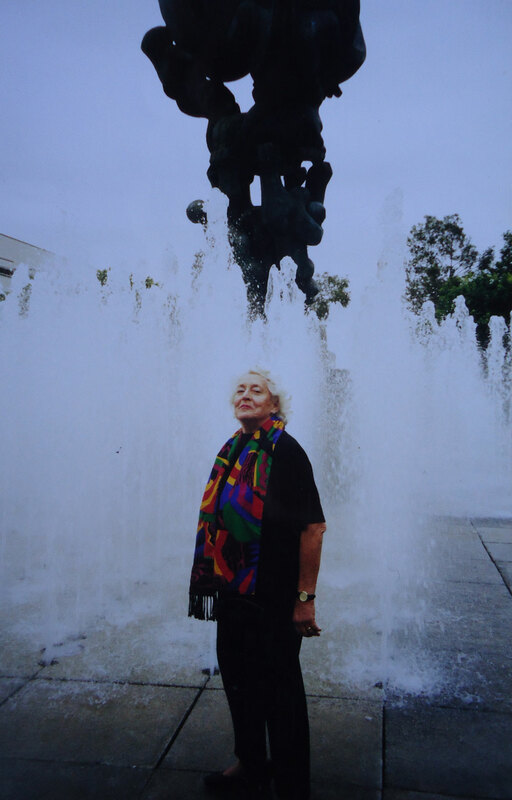 Remembering Joy Latham (1922 – 2013), Co-Founder of World of Water. Fountain – sculpt and ME! Joy’s plan and founding aim for the charity was for it to research ways to use water more efficiently, especially in farming. In 1979, she opened Aber Gwen Mill in Wales as a centre for both scientific and artistic engagement. Today, the Trustees continue Joy’s original vision through education, example and innovation. Born Joyce Elam in Liverpool, the daughter of veterinary surgeon Prof. Chales W. Elam and Gladys May Roberts, she went to the Belvedere School then studied Drama at LAMDA. She was with SIB during WW2, stationed in Burma and India. Following the war she joined the RSC and married Adrian Cruft at Westminster Abbey. Joy and Adrian worked together on the early productions at The Puppet-Theatre of Gordon Murray, and after playing Mrs. Elliott in ‘Mrs Dale’s Diary’ (BBC Radio) her career in radio drama took off. Joy’s first television appearance was in ‘No Trams to Lime Street’ (Armchair Theatre) in 1959 and she continued working in both radio and TV drama for 30 years until joining Mary Richards at the Birmingham Theatre School to teach part-time. Following Joy’s death in 2013, a major appeal was launched to develop a new aquaponics research facility for international students to design and test farming systems for village communities where water is polluted or in low supply. We are now seeking support for the second phase of this project to develop a temperature controlled greenhouse, an outreach educational display and a new roof on the student workshop. If you are able, please consider making a donation in kind to progress the work of our Charity and together, we’ll bring about a global sea change in the way we all use water.